Moving to Pittsburgh PA? 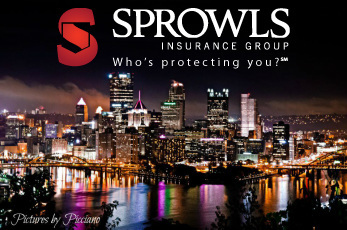 Find Pittsburgh relocation info here. To change an out of state driver’s license to a Pennsylvania driver’s license Bring your current driver’s license and proof of your social security number and a check for $24.00. There is no knowledge test required. You will need to pass a visual screening test. There is a cost of $24.00 for a regular driver’s license and $26.00 for a motorcycle license. All new residents with out-of-state non-commercial driver's licenses must obtain a PA Driver’s License within 60 days of establishing Pennsylvania residency. Directions - North Gallatin Avenue Extension off Route 119 North (2 miles north of Uniontown). Follow signs for “Driver Exam Center”. Hours of operation are Monday, Wednesday, Friday, and Saturday between 8:30 AM and 4:00 PM For more info about Pennsylvania Drivers’ Licenses or Driver Permits in Fayette County, call 724-439-7406 or 724-437-4760.